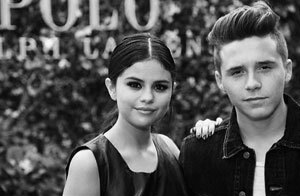 Well, he's been at it again, Brooklyn Beckham has been headlining in the newspapers for basically just doing very little and getting on with his life. What a lovely boy. Do you know he's got nearly five million followers on Instagram? We should probably follow him you know. 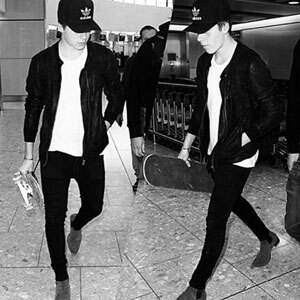 So, who do you think was spotted this week 'cutting a cool figure', wearing a combination of skinny jeans and Chelsea boots, as well as an Adidas baseball cap, and carrying a skateboard. He was on his way to the airport all alone, to jet over to Los Angeles, to see his family. And now, this one is a real shocker and I don't know how I feel about it. We've included it in our Halloween special because it involves pumpkins. So, who do you think was spotted in L. A. on a pumpkin patch, sporting a simple white vest whilst showing off his new edgy pierced ear this week? And who has got himself a gorgeous new French model girlfriend, after rumoured romantic links with Chloe Moretz and Selena Gomez? Yes, newspapers are reporting that Brooks has moved on from Chloe and Selena, to start dating Sonia Ben Ammar, whoever she is.